Iles D'orleans Quebec Village Scene is a painting by Carole Spandau which was uploaded on January 15th, 2010. This pretty pink house sits by the side of a rural road in a quiet village in Quebec. It has just rained and the road is still a bit wet. Lois thank you for the comment. These small Quebec villages are really pretty. thanks for painting this. I used to live on the other side of the St. Laurent, at Beauport! Robert, thank you for featuring my painting,Iles D'orleans Quebec Village Scene, in your group, New FAA Uploads. 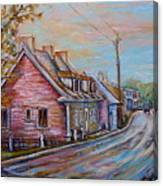 Madalena, thank you for featuring my painting,Iles D'orleans Quebec Village Scene, in your group, Women Painters. 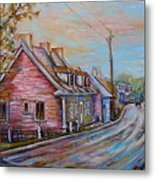 Pamela, thank you for featuring my painting,Iles D'orleans Quebec Village Scene, in your group, Art District. 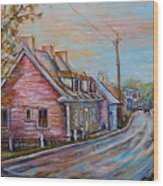 Dora, thank you for featuring my painting,Iles D'orleans Quebec Village Scene, in your group,Picturesque Neighborhoods. 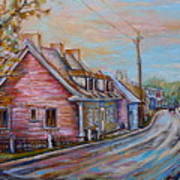 John, thank you for featuring my painting,Iles D'orleans Quebec Village Scene, in your group, Images That Excite. 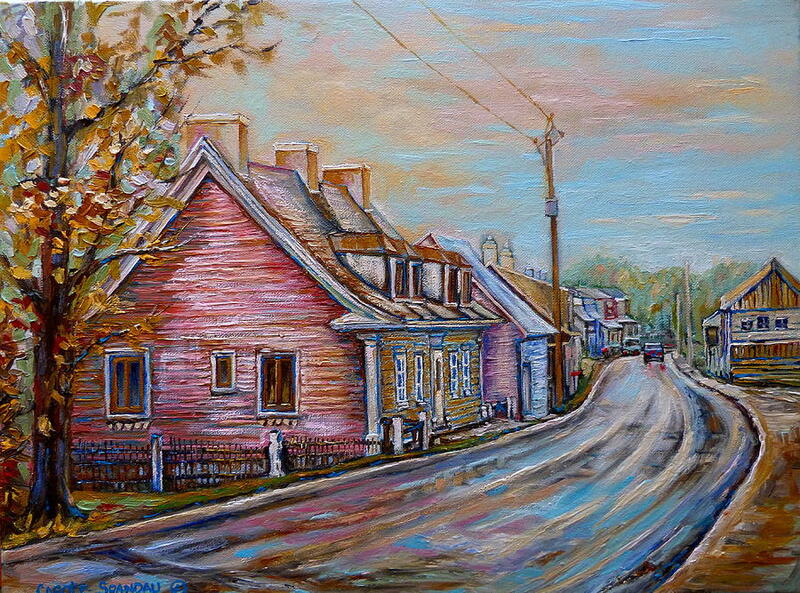 Julie, thank you for featuring my painting,Iles D'orleans Quebec Village Scene, in your group,Your Story Of Art. Mahesh, thank you for featuring my painting,Iles D'orleans Quebec Village Scene, in your group,Art and Meditation. Lenore thank you for featuring my painting,Iles D'orleans Quebec Village Scene, in your group, Our World Gallery.